SAB Miller contacted Magellan to manufacture a wide range of promotional packaging with the aim to expand their client base. SAB Miller were very interested in Magellan's expertise of promotional video packaging and custom foam fitments and wished to use this to produce high end printed packaging. SAB Miler and Magellan worked together to design and produce two variants of A4 video brochures to promote SAB Miller Genuine Draft regular and lite. Both feature an integrated video screen which plays automatically upon opening, this sits above three buttons. 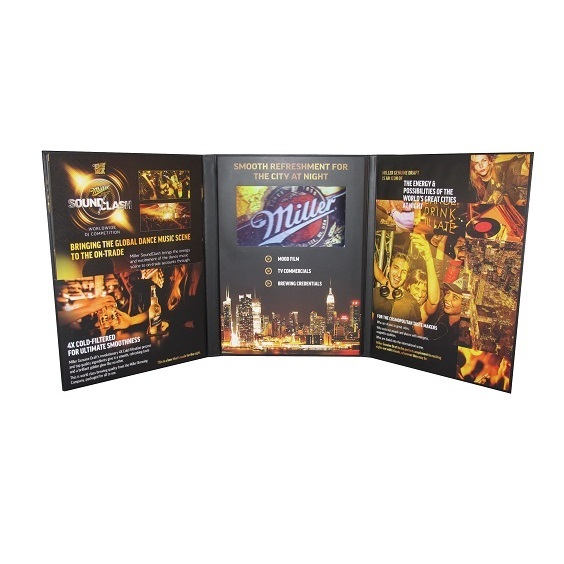 The video brochures also have two folding flaps which are printed in full colour both sides to promote SAB Miller. Magellan also designed and manufactured a printed drinks cooler. 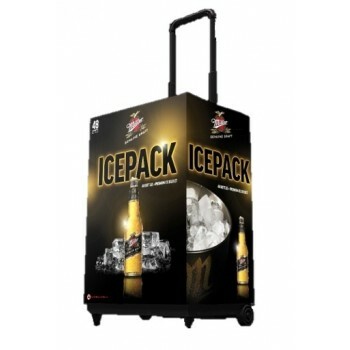 This cooler has two variants, one that carries 3 cases of draft and another carries 2 cases. Each trolley has 2 wheels and an extendable handle to help move the cooler. 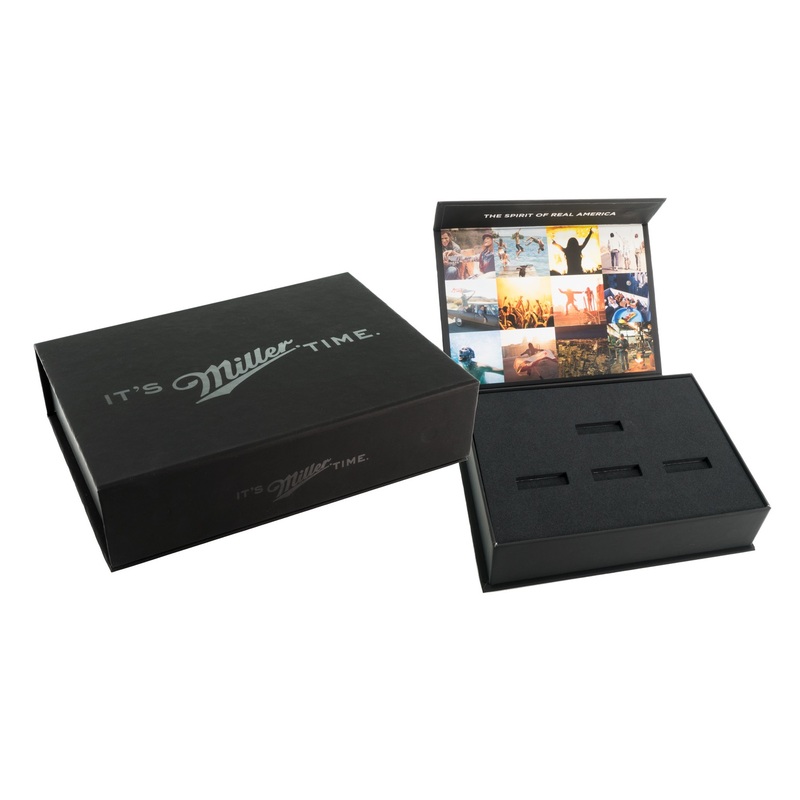 SAB Miller were also interested in promotional USB Packaging. 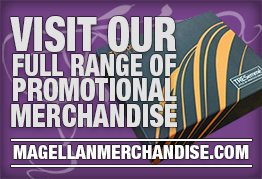 Magellan produced a matt laminate USB packaging piece with a gloss spot UV and a full colour print interior. This box also has a magnetic strip to secure the packaging shut. It holds 4 pre-loaded USBs secured within a custom foam insert.